Editor's note: Janet Parshall will be serving as keynote speaker for Inclusion Fusion Live, a national disability ministry conference sponsored by Key Ministry. Click here to learn how you might join us for the conference on April 5th and 6th, 2019 at Bay Presbyterian Church in Bay Village, Ohio. Janet Parshall is one of America's most prominent talk show hosts. Her radio program is heard for two hours every weekday on over 700 stations through the Moody Radio Network. She regularly discusses very contentious social and political topics with guests on her program, which seeks to examine major news stories and issues being debated in the marketplace of ideas from the perspective of the Word of God. So, you ask... How does Janet end up being selected to serve as the featured speaker for a large disability ministry conference we're hosting this coming week? When our ministry was seeking to get the word out last year about our book describing a model for outreach and inclusion with families affected by mental illness, Janet was the most prominent person within the Christian community to offer us her platform. 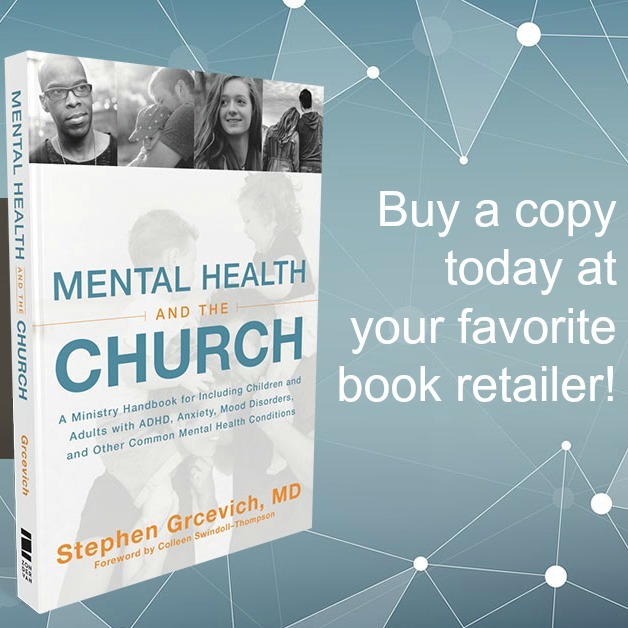 On the very day that Mental Health and the Church was released, she afforded me the better part of an hour to help get the word out about the book. She's done the same for other disability ministry advocates, including Diane Dokko Kim, Shannon Royce and Emily Colson. I was delighted to learn that Janet was a fan of the work being done by our Key Ministry team when I was interviewed for her program. 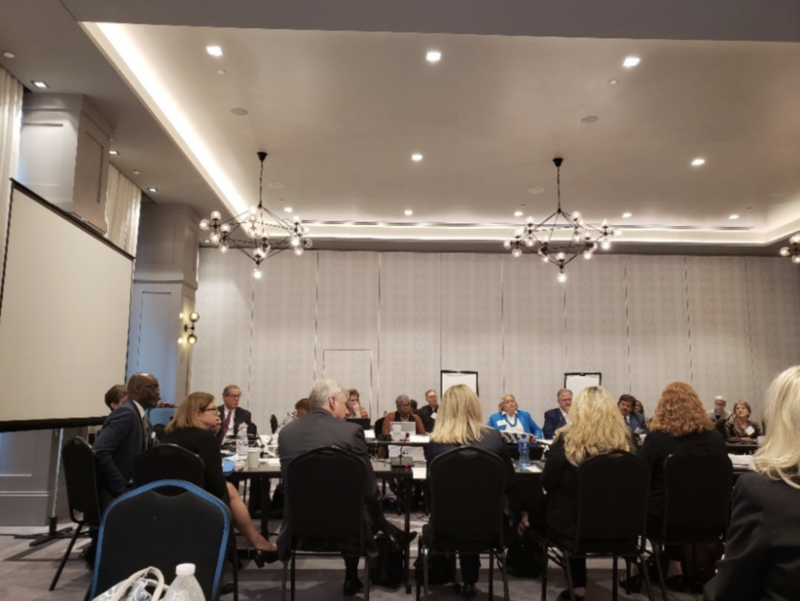 This past September, I had the opportunity to present as part of an expert panel convened by the Office of Faith-Based Partnerships of the U.S. Department of Health and Human Services to advise the Interdepartmental Serious Mental Illness Coordinating Committee (ISMICC) on the role of faith-based communities in improving access to treatment, services and support for individuals and families touched by mental illness. Who should I happen to find at the conference table on the opposite side of the room from me? Janet! We had the opportunity to get together for lunch. It was at that meeting that I felt led to extend her an invitation to serve as the keynote speaker for Inclusion Fusion Live. Janet's daughter, Sarah Parshall Perry has served for several years on the writing team for Key for Families/Not Alone, our blog and Facebook page for providing encouragement and support for families of children with disabilities. A sample of Sarah's writings for our ministry may be found here. Sarah is the author of the best-selling book Sand in my Sandwich, the title of which is derived from a statement by her son (Noah) prior to his autism diagnosis in which he was attempting to describe the texture of the strawberry jelly in his sandwich. More recently, Sarah has eloquently described her family's experiences as Noah has been identified with several co-occurring mental health conditions along with autism. In addition to Janet's keynote presentation, Janet and Sarah will be interviewed together about their family's experiences by Brian Dahlen and Jannelle Nevels, our emcees for the conference and co-hosts of a popular morning drive time show on our local Moody affiliate serving northern Ohio and Northwest Pennsylvania. We would be delighted for as many of our readers as possible to join us in person for Inclusion Fusion Live. This is an opportunity to gather together with other families impacted by disability and church leaders seeking to support and care for them. Attendees will have an opportunity to meet Janet in person and to get a signed book. Blog readers and Moody Radio listeners can get an additional $10 off our deeply discounted family tickets by entering the code MOODY at checkout. Click here to learn more about the fabulous lineup of speakers for Inclusion Fusion Live and to register for the conference. Key Ministry depends upon the prayers and generosity of Christians who support our mission of connecting churches and families of kids with disabilities for the purpose of making disciples of Jesus Christ. Our mission is to connect churches and families of kids with disabilities for the purpose of making disciples of Jesus Christ. Your financial support is essential to our ability to continue our work throughout 2019. Please consider making a gift to our ministry if God has provided you with the means to do so. Older PostI’m Drowning, But I Think I Can Save Myself!